French oil major Total has filed a request for arbitration against Algeria for changing profit-sharing terms on oil and gas contracts in the mid-2000s, Chief Executive Patrick Pouyanne said on Saturday. "We tried as always to find a mutual agreement first, it failed, so we decided that we would seek arbitration," Pouyanne told Reuters on the sidelines of a conference in Aix-en-Provence. "There are talks with states a bit everywhere. There’s nothing particularly because it is Algeria," he said, adding that it was "business as usual". 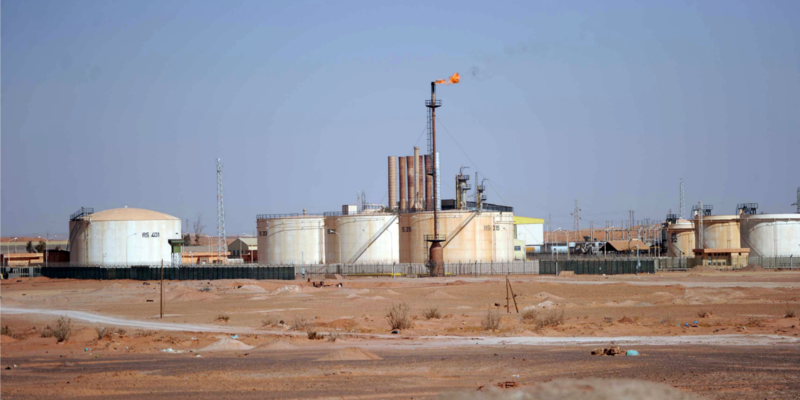 Newspaper Le Monde reported on Saturday that Total and its Spanish partner Repsol had initiated litigation at the International Court of Arbitration in May against Algeria and state-run oil company Sonatrach. The dispute was sparked by Algeria’s decision in 2006 to change an oil tax scheme retroactively. The move has prompted other oil groups to claim compensation. U.S. firm Anadarko Petroleum Corp and Maersk Oil, a unit of Danish conglomerate A.P. Moller-Maersk,, reached settlements in 2012 worth about $4.4 billion and $920 million in oil respectively. Asked if potential compensation was in the hundreds of millions of euros, as suggested by Le Monde, Pouyanne said: "Let’s not exaggerate, it’s less than that, you’ll see," he said, declining to elaborate further. Sonatrach has a stake of 3.85 percent in Spanish gas company Gas Natural, controlled by Caixa and Repsol as compensation made by Gas Natural for an arbitration ruling in 2010 over a dispute about gas prices.